The time has finally come as developers Mojang has rolled out the most awaited Ender Update for Minecraft Windows 10 Edition and Pocket Edition. As with the long running tradition, the update is rolled out on PC platforms first along with the mobile version. Players who love to enjoy the crafting game on PS3, PS4, Xbox One and Xbox 360 might probably have to wait a couple of weeks before Sony and Microsoft approve the Ender update to be rolled out. 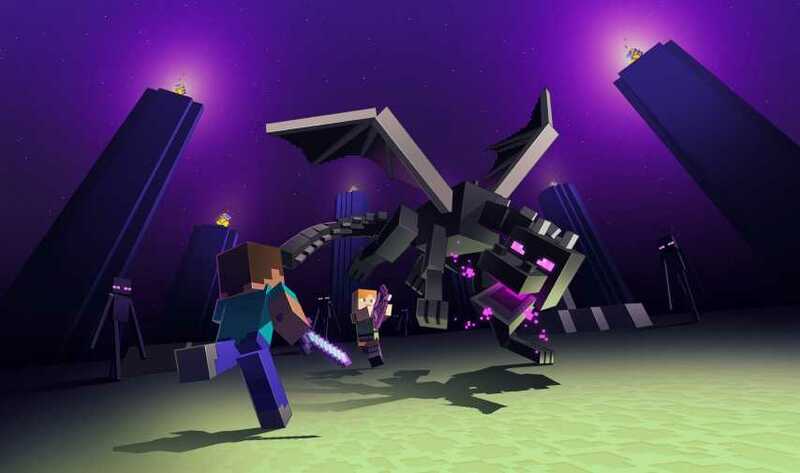 Everything the update promised along with the Ender dragon is now available on your Windows 10 computer. The developer Mojang has released a trailer which should give a quick glance of what to expect in it. Some of the most important stuff which are part of the new Minecraft Ender Update include Ender pearls, End ships, cities, stone, bricks, poem, rod, dragon egg, and Ender charge. Almost all the items in the update will have End as a prefix and you should probably get used to it. We just skipped them above so that it is easy to read for you. The game now supports new world templates, massive 256 world height to build bigger areas, dragon’s breath, igloos, polar bears and the ability to craft new items including poison tipped arrows. Along with the update, developers Mojang has now brought Minecraft Apple TV Edition. Not everyone would enjoy gaming on that tiny box but if you own one, the team got you covered. Surprisingly, the new Apple TV edition comes bundled with Ender Update on launch date. Other content and skin packs available on the new platform include festive mashup, cartoons, natural, plastic mashups and the total bundle will set you back by $19.99. The Minecraft Apple TV Edition is easily worth the update if you find yourself tough to take a break from the game and wish to keep playing endlessly for hours. In their earlier interview, the developer team confirmed that they are going to officially conclude the game. But, it is not the end but rather a new beginning. The upcoming updates and game is expected to be Minecraft 2.0. It will feature completely new updates, content, maps and interesting additions that they couldn’t explore in the first version of the game. Meanwhile, console gamers will receive the ender update in due time so that they can start building bigger worlds and fight the ender dragon.